What's with churches and having a branch within the Lekki-Epe axis? 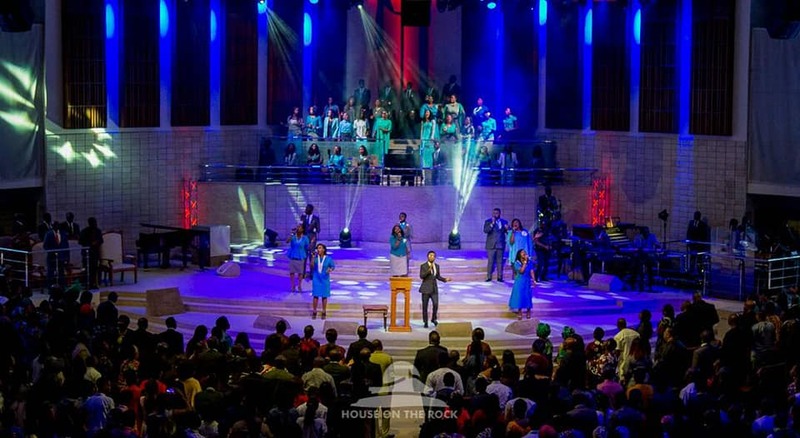 [The Church Blog] What’s with churches and having a branch within the Lekki-Epe axis? We won’t even act like we aren’t noticing it because we do or at least, it crosses our minds once in a while. You know it actually just dawned on us that more churches are springing up massively in the Lekki-Epe axis of Lagos. From the beginning of the express and midway into Epe, there’s a church at almost every 5-minute driving distance and for some cases, many churches in one stretch. And it’s not too hard to notice. First, do a mental count of all the popular churches in Lagos and confirm if they have their headquarters or at the minimum, a branch on the Lekki-Epe Expressway. There’s an over 80 percent chance that the result of that test proves right. On the alternative, take a drive through from the Lekki toll gate all the way down to Epe and notice all the billboards and tents on all sides. You will notice how massively several churches are taking over that environment, investing heavily in all forms of creative advertising. These days, when you hear a church is about to launch, there’s a great likelihood that its a “Lekki church”. It would seem like until a church is located on the Lekki-Epe axis, the vision hasn’t been fully made manifest. And when it finally does, the ministry has moved to its permanent site! And for some reason, Lekki churches are almost always similar – plenty shades of accent, quiet prayers, designer suits, parking problem in the church (obviously from too many cars), creative stage lighting, creative banner ads, massive youth appeal, regular church conferences, social media punchlines and yes, hosting popular gospel artistes for worship events on a regular basis. Is it that people within the Lekki-Epe axis need a more intense demonstration of the word compared to those on the mainland? That the anointing flows seamlessly there? Or should we assume that their problems are more than those of others? Looks like this would be a perfect time to finally accept that “call of God” after all. Whatever the case is, we are happy that the word is gaining ground in leaps and bounds in this city. PS: This wasn’t directly aimed at any church or group of churches. This was a satirical attempt at highlighting how churches in the Lekki-Epe axis are increasing exponentially.